What is the CO-OP Student Association (CSA)? 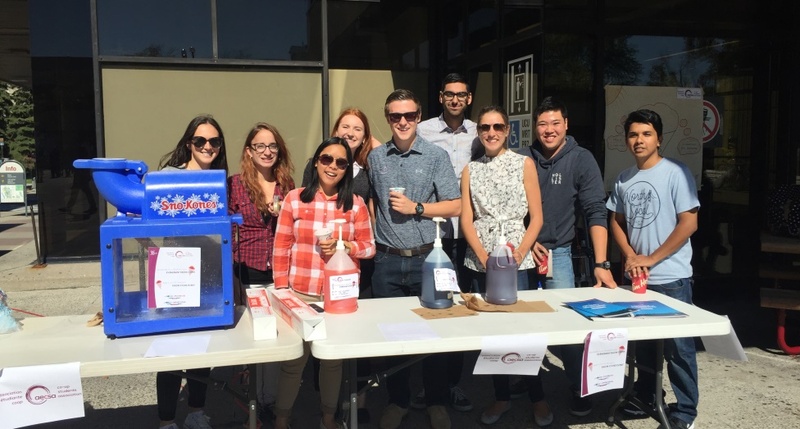 The CO-OP Student Association (CSA), which is made up of current CO-OP students, aims to enhance the CO-OP experience and help students get the most out of their CO-OP program opportunities. CSA members are here to listen, advise and connect, in order to generate a sense of community among University of Ottawa CO-OP students. CSA runs orientation sessions, helps students resolve faculty and departmental issues, and organizes social events. The Association encourages exchanges between CO-OP peers to help improve student satisfaction and increase motivation. The CSA brings junior and senior CO-OP students together to share experiences and information on the placement process, CO-OP work terms, and the work term report. Download your copy of the CO-OP Survival Guide created by the CSA for all CO-OP students. Some of the key points covered are: finding jobs, interview tips, work-term report tips, and international work terms. The CSA recruits new members twice a year, namely in January and August. We are looking for committed students who have strong sense of initiative, enjoy working as part of a team and are creative, accountable and dependable. We hold monthly meetings, and in between meetings we communicate via email and social media to operate as a team. If you are interested in becoming a member of the CSA, please send an email that answers the following questions to aec-csa@uOttawa.ca. ·Why do you want to be a CSA member? Join the group to learn great tips on how to succeed in CO-OP and to get in touch with experienced CO-OP students. Like our page to keep informed of all our initiatives and events, and to learn more about our members and their work experiences.